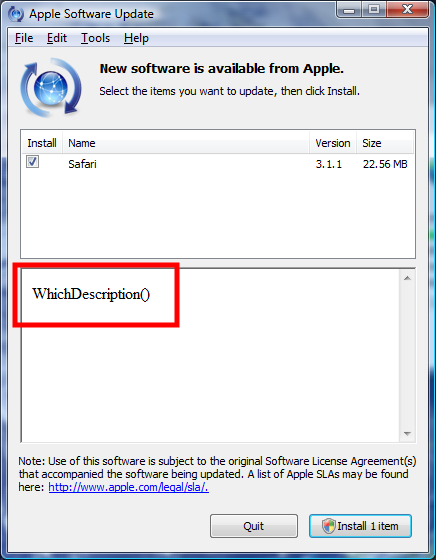 Apple "Windows Developers" continue to not impress me. Check out the latest in "I decided to release something too early"-product from Steve Jobs and Apple. I haven't yet decided if Steve Jobs is trying to take down the Windows Empire with crappy Apple Software, or if Apple is just inept at creating anything but software for Apple. I prefer to think Steve Jobs just forces Mac Developers to begrudgingly work on Windows Software, instead of actually hiring developers that are passionate about Windows Development.